The Lake Buena Vista Resort Village & Spa is a wholly owned condominium property offering the facilities and amenities of a resort hotel. We are ideally located on State Road 535 and the airport expressway, one mile from the Walt Disney World entrance, 4.5 miles from SeaWorld, 8 miles from Universal Studios, surrounded by some of the finest golf courses in Central Florida, near over 50 restaurants and adjacent to the Lake Buena Vista Factory Stores. 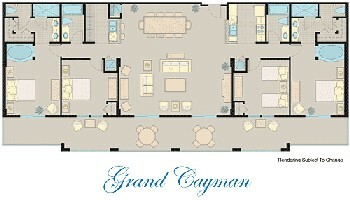 2 BED 2 BATH 1080 SQ. 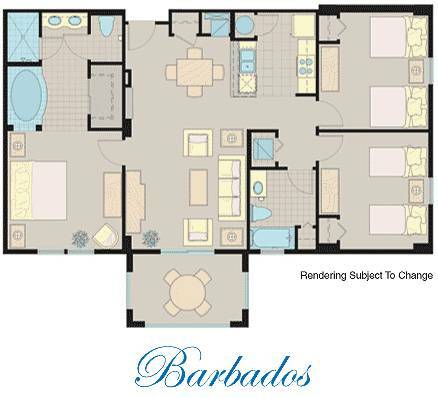 FT.
3 BED 2 BATH CONDO 1253 SQ.FT. 4 BED 4 BATH 2170 SQ.FT.